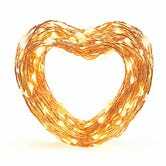 There are still some Cyber Monday deals going strong, plus new discounts on best-selling copper string lights, a FoodSaver, Pokemon games, and more. Bookmark Kinja Deals, follow us on Twitter and Facebook, join our Kinja Deals Community group, and sign up for our Kinja Deals messenger bot for the latest updates! 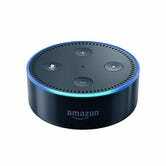 Most of Amazon’s Cyber Monday/Black Friday gadget discounts have expired, but they are still offering the Echo Dot for $30, an all-time low. If you have anyone to shop for who refuses to give you any gift ideas, just give them one of these, they’ll like it. 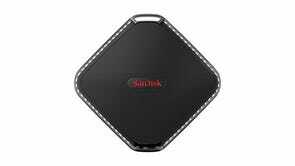 A couple capacities of SanDisk’s tiny external SSDs are marked down to all-time low prices today on Amazon. Not everyone needs these, but they’re spacious, rugged, and compared to most flash drives, extremely fast. If you didn’t get your fill of Sony Bluetooth headphones over Deals Week, here’s one more great discount to mull over. Amazon’s never sold these wireless on-ears for under $50 until today, so go on, cut the cord. The original Boogie Board LCD writing tablet was one of our most popular items on Black Friday, and today, the larger Boogie Board Sync is on sale for $81 right now, which while not an all-time low price, is the best deal we’ve seen since August. Unlike the original (which is still on sale for $16), which had no ability to save or sync your drawings, this one can do both, with enough internal memory to store over 1000 images, and Bluetooth to connect to your phone or computer. There are only a handful of USB battery packs out there with USB-C Power Delivery, and this is one of the best prices we’ve ever seen on one of them. 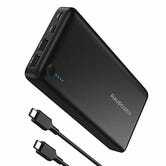 $52 gets you RAVPower’s 26,800mAh battery pack, complete with a 30W USB-C port that can power a MacBook or Nintendo Switch at basically full speed, plus two regular USB ports as well. That should be enough power to get you through pretty much any long flight. 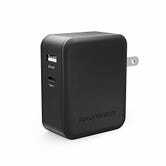 This doesn’t come with a USB-C wall charger to recharge it at full speed though, so you’ll want to add this one to your cart for $14. 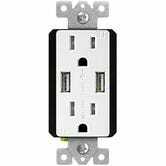 It features Power Delivery just like the battery, and also has a standard USB port for devices that can’t take advantage of USB-C.
We’ve seen USB outlet receptacles for slightly less in the past, but this model boasts 4.8A of power shared between the two USB ports, compared to 4A on most alternatives. That means your high-draw devices like tablets will charge up faster as you use them. 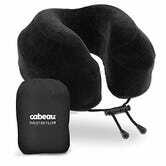 Just be sure to use promo code TGUKINJA at checkout to save about $7. Update: Going in and out of stock. If it’s showing up as unavailable, check back later and it might be back. 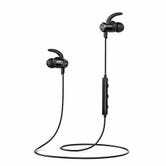 Anker’s SoundBuds are our readers’ favorite affordable Bluetooth headphones, and the newest version just dropped to an all-time low $18. Note: As of the time of this post, the SoundBuds Slim are available as an $18 Lightning deal. If that expires though, you’ll still be able to get that price with promo code KINJA379. 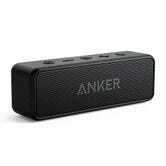 With its 24 hour battery life, iumpressive bass, and crystal clear sound quality, the Anker SoundCore has long been our readers’ favorite affordable Bluetooth speaker, and its water-resistant speaker is down to its best price ever today with promo code KINJA989. The SoundCore 2 still includes dual drivers and that amazing 24 hour battery; the only real differences are a slightly tweaked design and the aforementioned water resistance. That means you can take it to the pool, the beach, or even the shower without fear. Yes, that code is only for $1 off, but the $32 list price is already an all-time low, and $8 less than usual. 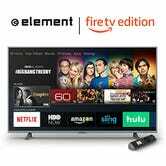 Amazon partnered with Element this year to create affordable 4K TVs with Amazon’s Fire TV software and Alexa built in, and the 65" is back in stock for just $765 for Cyber Monday, $135 less than usual. We bought the 55" one for our office pod on Prime Day, and it’s been fantastic. Gizmodo’s Adam Clark Estes is also a fan. The snappiness of the Fire TV interface makes navigating media on the PS4, Xbox One, Switch, Roku, Apple TV, and other smart TVs feel like even more of a slog, and the minimalist Alexa-enabled remote is a joy to use. The Greenco G Pen Elite was already one of the best vaporizers for the money at its usual $150, but for Cyber Monday, you can get it for an all-time low $85 with promo code KINJA-BFCM. Or, for just $66 with the same code, you can also opt for the smaller G Pen Pro, which should perform similarly, but with a smaller chamber capacity and less precise temperature adjustment. Either way, these deals aren’t available for long, so get in before they go up in a puff of smoke. 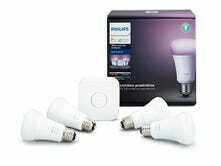 A lot of Cyber Monday’s Philips Hue deals have burned out, but the two that remain are sure to brighten your day. If you already own a Philips Hue Bridge, $32 is far and away the best price we’ve ever seen on individual color bulbs, so stock up while you still can. Just getting started? 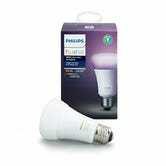 The four bulb kit with a Hue Bridge is still on sale for $140 as well, which is a fantastic price. 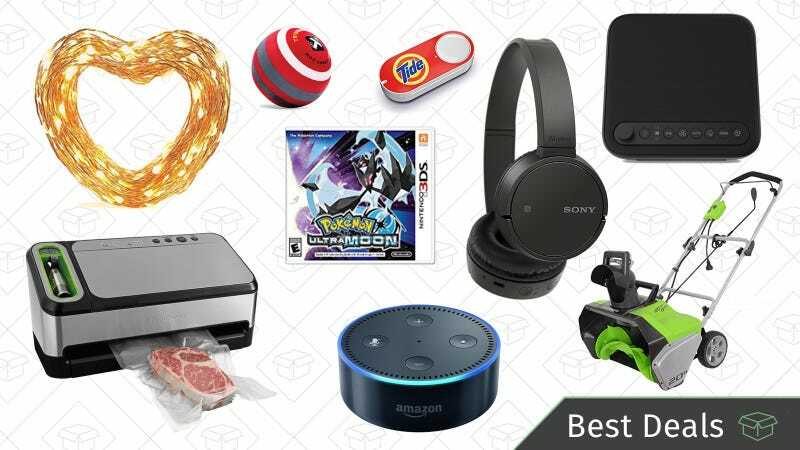 It sounds like an expensive proposition, but today, Amazon’s selling this well-reviewed FoodSaver 4840 Starter Kit for $126, its best price since January. 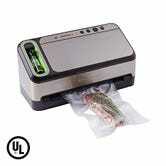 There are cheaper FoodSaver models out there, but the 4840 justifies its cost with a retractable vacuum sealing hose, allowing it to vacuum seal specially designed zipper bags, in addition to the usual heat-seal bags. A slightly fancier cousin to our best-selling Rubbermaid Easy Find Lid set, this 34-piece set has four locking tabs to keep your leftover super secure. 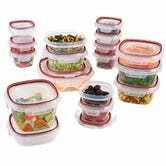 Like the other Rubbermaid containers, these are microwave, dishwasher, and freezer-safe, and all lids and bases snap together for easy storage. This set hasn’t been under $30 in 6 months, so, at $26 today, you should lock these down. It’s a thing, car batteries only die when you’re in a hurry. So rather than waiting for AAA or a kind stranger to help, pick one of these discounted self-sufficient jump starters. 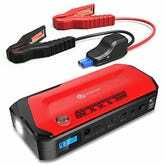 If you own a smaller car, the $30 RAVPower (promo code RAVP8000) should work. If own anything larger, buy the $57 iClever (with promo code BBBBQQQQ), it works on engines up to 6.5 liters. If you don’t want to mess up with a manual wine opener, pick up this Oster electric bottle opener for just $14, which is around $4 - $5 less than usual. It will make a nice gift too. Thanksgiving is over and the leftovers have all been eaten, which means it’s officially time to decorate for the holidays. This $30 waterproof LED projector from OxyLED comes with 12 different themes like spooky Halloween characters, Santa Claus, snowflakes, falling leaves, and Valentine’s Day hearts, so it won’t necessarily have to gather dust come 2018. 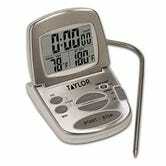 Just plug it in, set the timer, and automate your holiday spirit indoors or out. This Iris pet food container isn’t exactly exciting but it’ll get the job done and keep bugs away. The containers designed to hold 25, 35, and 54-pounds are all discounted between $7 - $9 today, so pick which one works best for you. You might not need to use a Dremel all that often, but it’s one of those things everyone should keep in their tool box, if only for sanding wood and carving jack-o-lanterns. Today only as part of a Gold Box deal, Amazon’s discounting the Dremel 4000-6/50 to $110 today. That’s not an all-time low, but it’s about $40 less than its usual price this year. 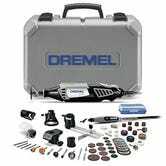 The Dremel 4000 features a variable speed motor that can spin anywhere from 5,000 to 35,000 RPM, and includes 50 accessories and six attachments to get you started with projects all around the house. 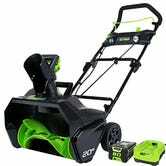 Winter will be here before you know it, if it hasn’t arrived in your corner of the country already, but you can fight back with a well-reviewed GreenWorks snow thrower from this one-day Amazon sale. There are two corded models available, and the only real difference between them seems to be that one model has built-in headlights to help you clear a path early in the morning. You’re already going to be cold and miserable though, and dealing with an extension cord in gloves doesn’t sound like fun, so you might want to splurge on this battery-powered model, down to $188. That’s not a small amount of money, but it’s never sold for less than about $250 on Amazon until today. In fact, the version of it that doesn’t include a battery is currently listed for $269, so this is a pretty remarkable deal. With six soothing sounds, these Wave white noise machines will allow you to drift off to sleep for 25% less today. 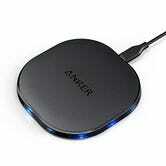 You can charge all your devices and it runs on power from a USB so you can take it pretty much anywhere. They have two different colors of the adult sizes, white and a black, plus, a smaller green one for kids, and these adorable white-noise-making, color-changing clouds you can clip on to the crib. Bonus deal: when you add an adult size (the white or black) and the green Wave Baby to your cart, the green one will be an additional 15% off today’s Gold Box price. These deals will only last until the end of the day, or until they sell out, so don’t sleep on it. 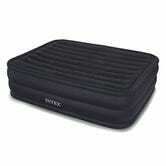 If you have more guests coming for the holidays than you have beds to put them in, this queen sized air mattress is down to just $35 today, complete with a built-in electric pump. 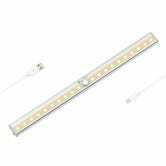 Our readers have bought tens of thousands of OxyLED’s stick-anywhere motion lights, but now’s your first chance to save on this 20 LED model with warm lights. Cool LEDs have their place, but this softer light would be much more flattering in a closet, and more aesthetically pleasing in, say, a kitchen. If you missed out on half price Amazon Dash buttons over the weekend, their post-Cyber Monday deal might actually be even better. For a limited time, if you order one button for $5, you can pick two others for free. The first time you use each one, you’ll still get a $5 Amazon credit, so assuming you actually use them, this is basically like $10 of free money. The Dyson V6 cordless vacuum is ideal for cleaning rugs, hardwood floors, car seats, ceilings, shelves...pretty much anything really, and you can get a the Animal version on Amazon today for $249, about $100-$125 less than usual. Compared to the standard V6, this model has 75% more brush head power to lift pet hair and other debris out of carpets and furniture. I bought this thing a few months ago because I bought a dark couch, and was horrified to find out how much pet hair it collected. It’s a good vacuum. A very good vacuum. If only the best will do, the even more powerful Dyson V8 Absolute is also on sale for an all-time low $450 as well. 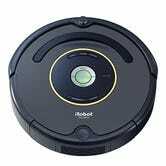 Deals Week is the best time of the year to buy a Roomba, and four different models are down to all-time low prices for the occasion today. 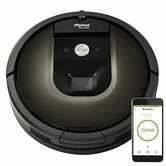 The entry-level Roomba 652 doesn’t have too many bells or whistles, but it’s still an excellent little vacuum that cleans well, and is good at finding its way back to its charger, in my experience, even if it looks a little stupid ping-ponging around your house. And on the high end, the 980 is even more powerful than the 860, and includes a suite of advanced sensors that map your house to help it clean more efficiently, and let you know which rooms still need attention. $799's a lot of money, but it’s $100 less than usual, and an all-time low.